The travel edition of Yamslam may come in a small package but it’s loaded with big-size fun! Roll the dice up to three times. Grab the chip that matches your combination. Compete for the best chips and strategize to earn special bonuses. 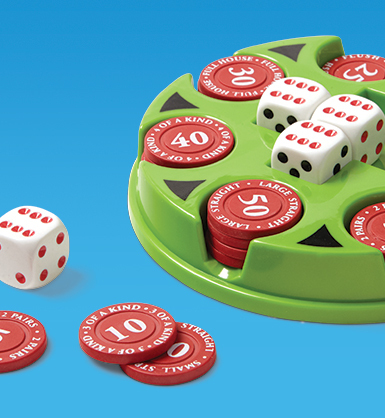 This travel game is a blast for kids and adults alike! The convenient tray and lid keep all the pieces in place. 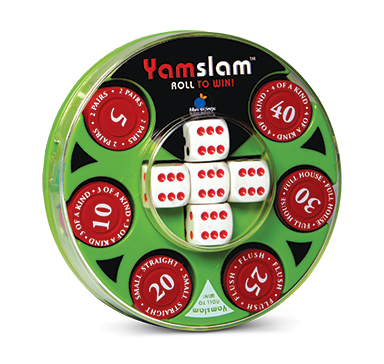 Take Pocket Yamslam with you anywhere for instant entertainment, from dinner parties to camping trips!